Come join us for movie night. 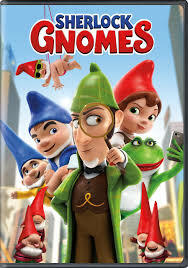 We will be showing the movie, Sherlock Gnomes, June 30, 2018 at 6:30 PM. The following are tips for best recycle practice at our county sites. The Newton County recycling collection sites are SINGLE-stream recycling. SINGLE-stream means residents do not need to sort/separate their recycling items. Recyclable items placed in containers should be inside CLEAR and/or TRANSPARENT bags or loose. Thank you to residents who are helping keep our sites clean and for following the simples rules of recycling in Newton County.